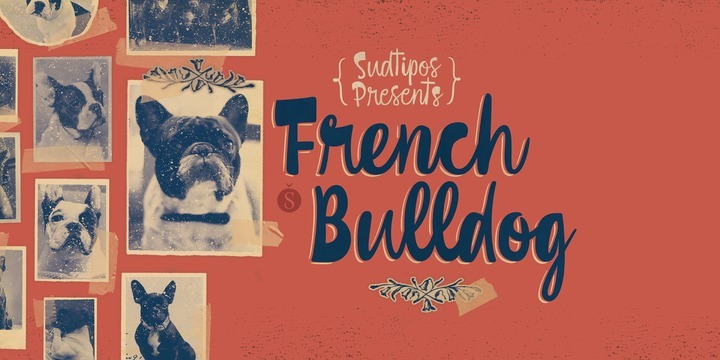 French Bulldog is a contemporary typeface created by Carolina Marando together with Alejandro Paul and published by Sudtipos which was designed to celebrate the little thing that surround us every day. This handwritten typeface is versatile, funny, playful, friendly and ideal for display, magazine, invitation, poster etc. Enjoy the moment! A font description published on Wednesday, December 13th, 2017 in Alejandro Paul, Carolina Marando, Fonts, Sudtipos by Alexandra that has 1,726 views.